Pistachio growers and consultants in the southern San Joaquin Valley have recently reported an invasion of a new plant (alkaliweed) along irrigation ditches, roadsides, and into their orchards. Alkaliweed is a California native perennial plant that seems to be rapidly spreading throughout the region. In some cases, this weed has completely taken over pistachio orchards in a matter of a couple of years after first being spotted. Thus far, repeated applications of postemergence herbicides have only yielded minimal control effects. 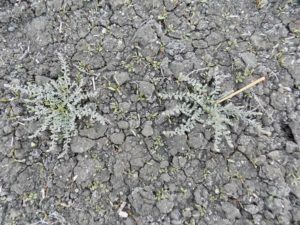 Unfortunately, little information is known to date about specific biological and ecological characteristics of this weedy plant, so we are asking for your assistance to help us identify where specifically it has become a problem for you. With this information, we will better be able to understand its growth characteristics and hopefully develop control measures to mitigate the problem. Studies are currently under way to look at some of these growth characteristics (such as response to salinity, light, and moisture). Your input of where it has become a problem for you and your growers is critical for us to be successful. 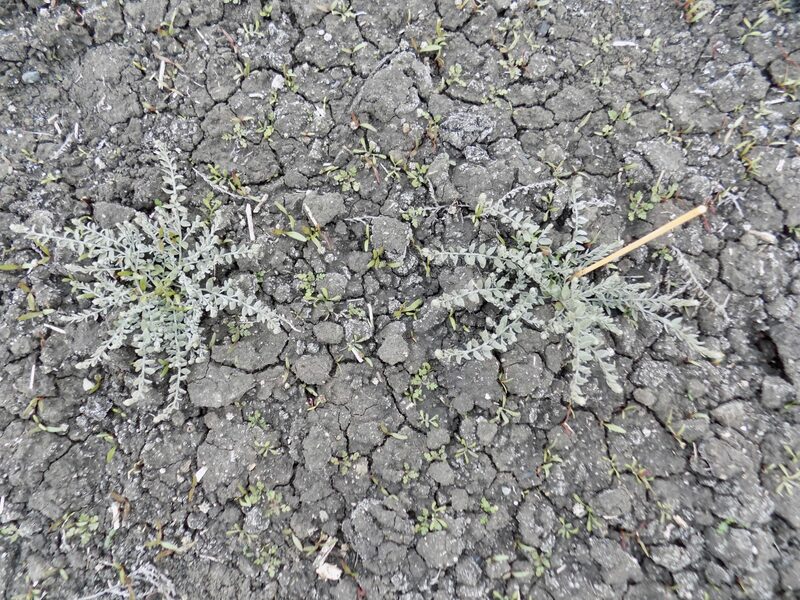 Please follow the link https://survey123.arcgis.com/share/1f4753edfd7347ce84cc81f35e65dc02 to take a quick survey on alkaliweed in your area. Your help on this important weed issue is greatly appreciated!